18 "Open Late" places to study found. 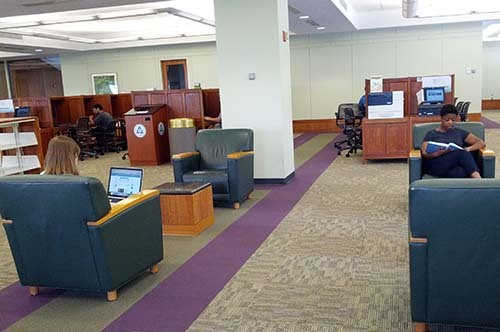 The J. Charles Morrow III Reading Room in Davis Library is a large open space near the entrance with large tables, study booths and comfy furniture for individual or group study. The Davis Library Reference Reading Room is to your left past the elevators. 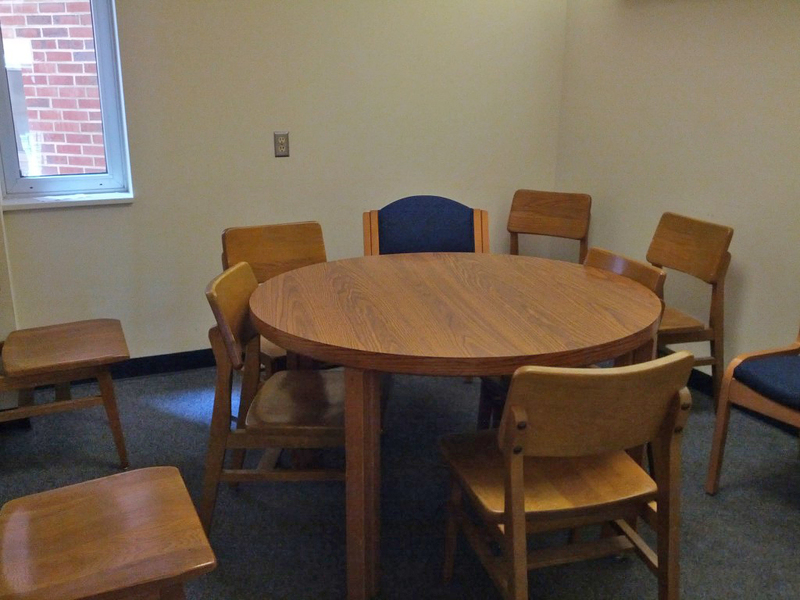 Large and small tables with power and lamps are available for individual and group study. There is also comfy furniture and lots of natural light. Davis Library Information Commons, to the right and left just past the elevators, offers nearly 100 computer stations mainly for individual study. 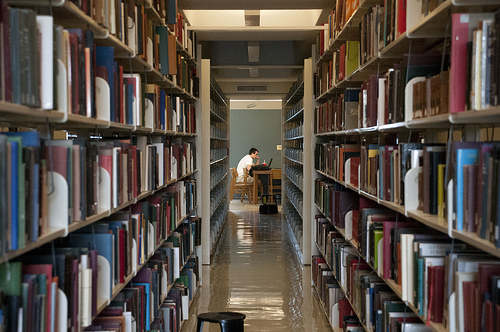 There are quiet study carrels located throughout the stacks on the 3rd-8th floor. The carrels are ideal for individual study. The study rooms are located on floors 3-8 along the south side of the building facing the Student Union. All group study rooms are available for reservation. Reservations take priority over walk-in use. See our Group Study Room page for details. Room 8010 is located on the 8th floor of Davis Library. 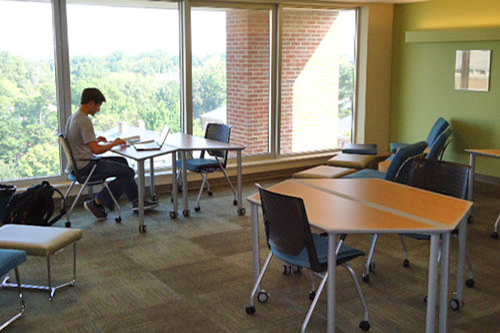 This study space has flexible furniture and comfy chairs for individual or group study. It offers lots of natural light and spectacular views of the campus. The Research Hub Cubes on the 2nd floor seat 4 to 8 people. Groups may reserve them and have priority over individual users. These semi-enclosed spaces are intended for collaborative work, so a certain level of noise should be expected. 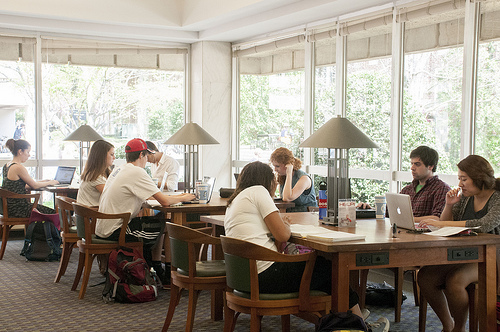 Quieter spaces for study are available on floors 4-8 of Davis Library. 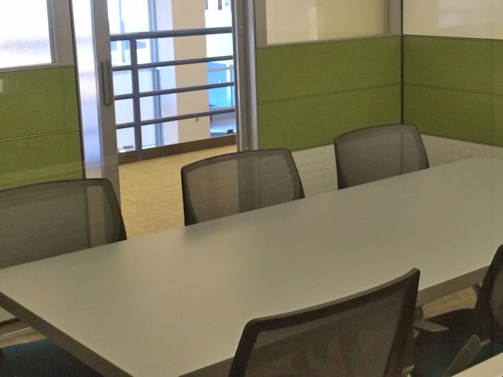 Collaboration tables accommodate up to 4 people. These tables feature large, mounted displays for sharing your laptop screen with others. The tables offer HDMI and Mini DisplayPort connections. USB-C adapters are available for checkout at the 1st floor service desk. Please note: Groups may reserve these tables and have priority over individual users. 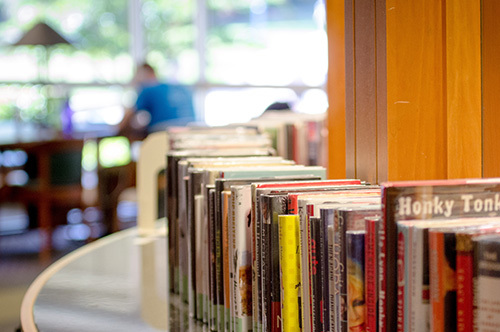 The Davis Library Research Hub offers consultations and spaces for collaborative work, so a certain level of noise should be expected. 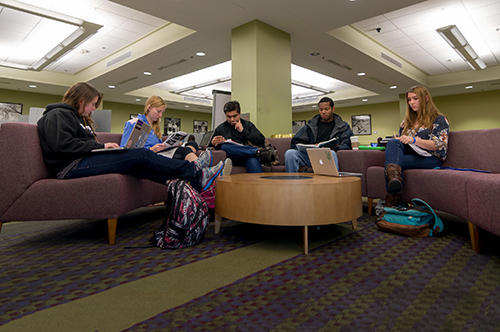 Quieter spaces for study are available on floors 4-8 of Davis Library. 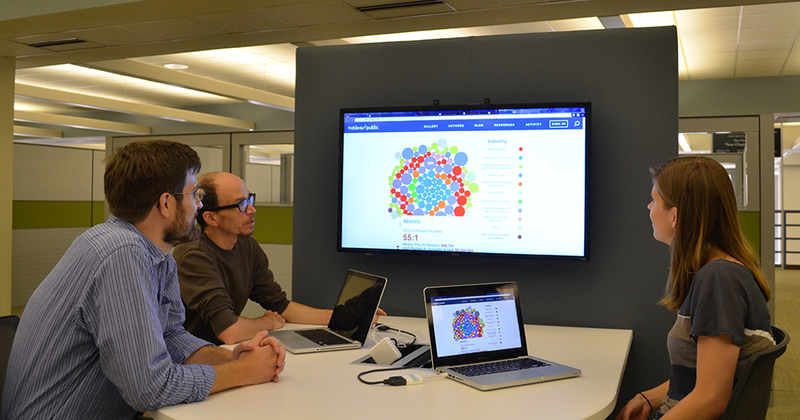 Book a Research Hub Collaboration Table. 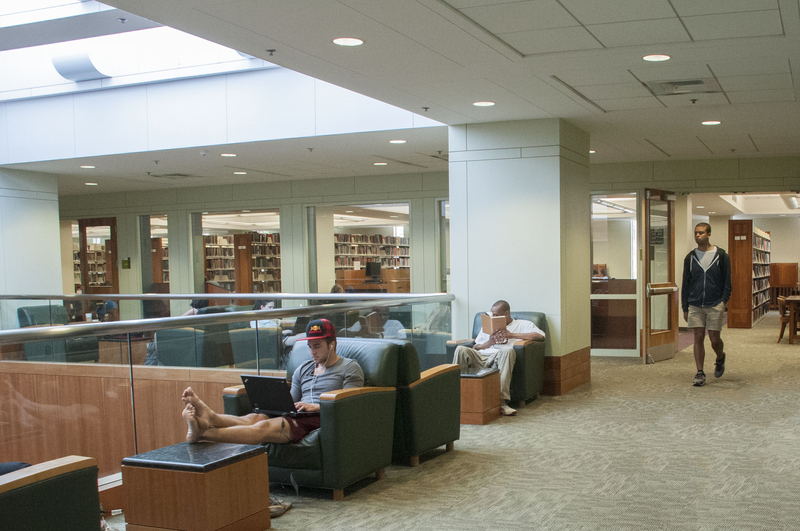 The Fifth Floor Lounge has comfortable seating, small tables, and four treadmill desks with views of campus. The treadmill desks have adjustable speed and height. 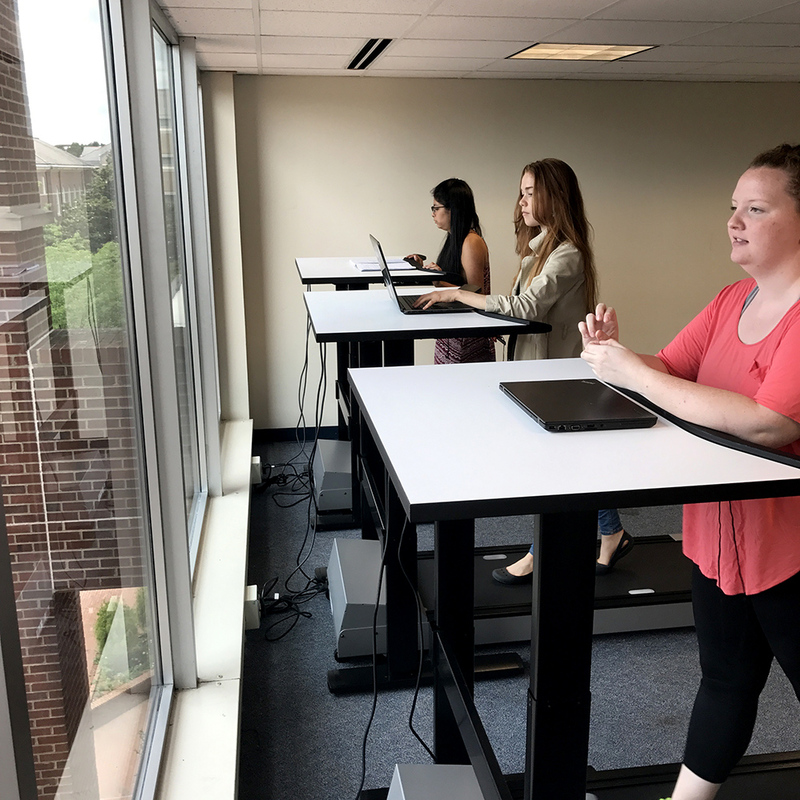 A generous allocation from the UNC Summer School was used to purchase the desks, which are available on a first-come, first-served basis throughout the year. The reference room at the back of the entry level provides large tables and individual carrels with power, public computers, comfortable seating, and abundant natural light. The Reserves Reading Room is at the front of the entry level and provides large tables and individual carrels with power, public computers, comfortable seating, and abundant natural light. The view overlooks the Pit, Lenoir, and Greenlaw. 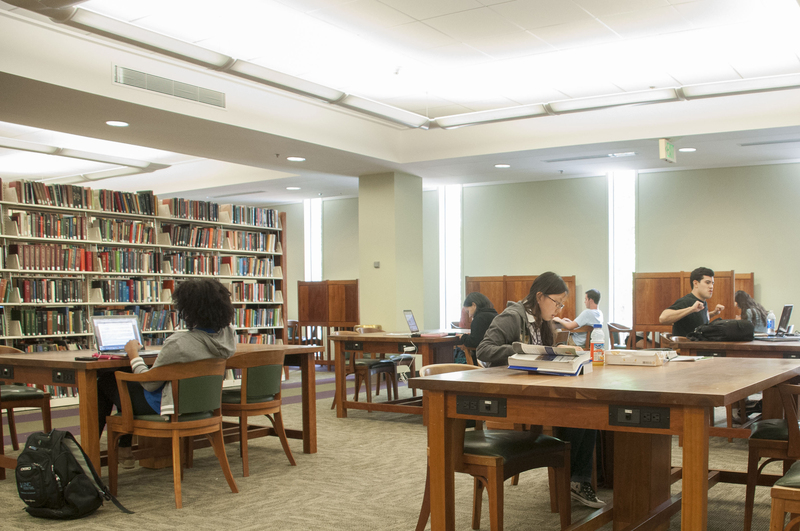 The main UL book collection areas on the upper level provide large tables and individual carrels with power and comfortable seats for quiet study. The atrium on the upper level provides comfortable seating and natural light for individual study. The lower level lab features public computers, adjustable height desks, and comfortable seating for individual and collaborative work space. 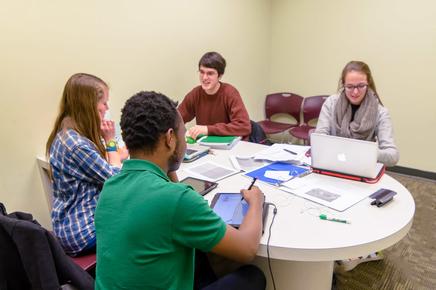 The Undergraduate Library has 9 group study rooms with white boards and large tables. 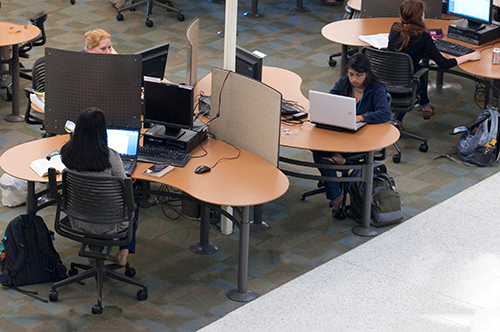 Study rooms range in size to seat from 6 – 15 students. Group Study Room 4 (UL 218), Group Study Room 5 (UL 217) and the Presentation Room (UL 211) have display connections to a wall-mounted monitor. The Ragland Reading Room is at the front of the entry level and provides large tables with power, computers, comfortable seating, and abundant natural light. The windows overlook the main quad and Wilson Library. 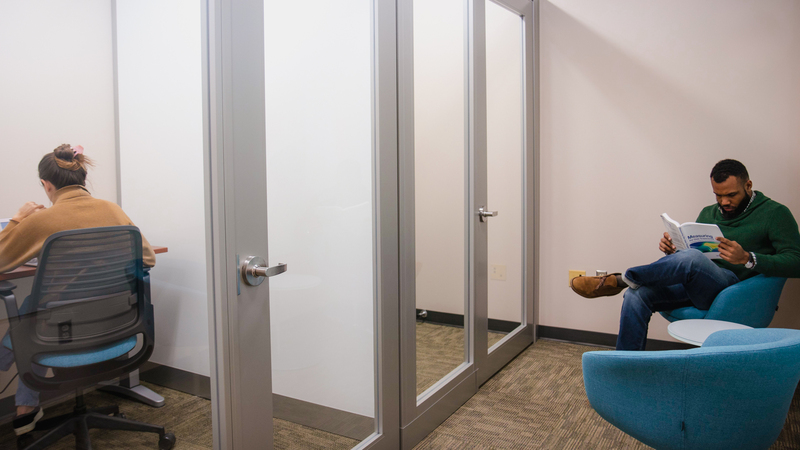 The Undergraduate Library has 3 individual study booths with white board walls and adjustable height desks. Study booths are for quiet individual study. All study booths are located in the A-M stacks room in room 202.